Kapton® polyimide film possesses a unique combination of properties. The ability of Kapton® to maintain its excellent physical, electrical and mechanical properties over a wide temperature range has opened new design and application areas for plastic films. Kapton® is extensively used for aerospace, printed circuit and traction motor applications, operating up to 400°C. It has proved to be an indispensable material for demanding applications. Kapton® HN – Used for the majority of applications, where its properties are required over a wide temperature range. The standard sizes are shown below. Kapton® FN – Where heat sealability is required. Kapton® is combined with Teflon® FEP resin. It is commonly used for lapping of copper conductors in electric motors and aerospace wires. Kapton® FWN – Kapton® FWN is a two-layer, polyimide, FEP fluoropolymer dispersion-coated heat-fusible composite film. Kapton® FWR – Kapton® FWR films are polyimide-FEP fluoropolymer substrate materials that provide a tough, high dielectric strength insulation with improved hydrolysis resistance, compared to other commonly used polyimide-containing materials. Kapton® GS – Kapton® GS film has been specifically designed and manufactured to expand the processing window and improve yields during artificial graphite sheet production. Kapton® MT+ – Kapton® MT+ polyimide film is a homogeneous film possessing over 5x the thermal conductivity of standard Kapton® HN, while retaining the strong mechanical and dielectric properties you expect from a polyimide film. Kapton® RS – Kapton® RS is an electrically conductive polyimide film developed for applications in which a precisely controlled surface resistivity is needed. * 50HN – limited availability. Pronat stocks and converts Kapton® in all thicknesses for a wide range of applications. 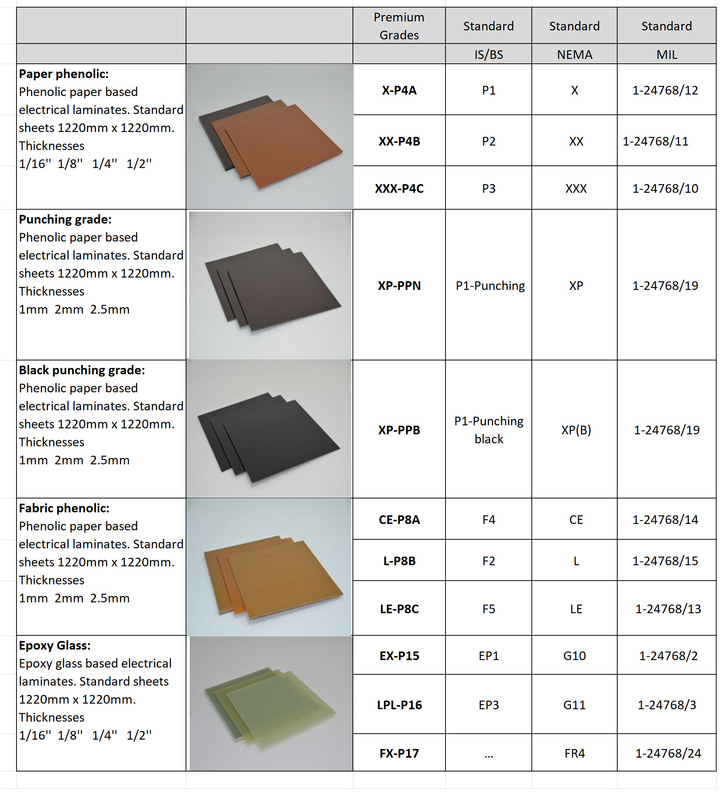 Pronat will die cut, slit, sheet and laminate Kapton® film to customers specification. Nomex® is extensively used in the electric/electronics field as a reliable and tough insulator particularly where high temperatures are specified. Used properly, Nomex® paper and pressboard products can extend the life of electrical equipment, reduce premature failures and repairs, and act as a safeguard in unforeseen electrical stress situations. Pronat stocks and converts Nomex® in all thicknesses for a wide range of applications. Pronat will die cut, slit, sheet and laminate Nomex® to customers specification. Nomex® Type 410 – calendered, available in thicknesses from 0.05mm to 0.76mm. Provides the best mechanical properties and is the most widely used version. Nomex® Type 411 – uncalendered, available in thicknesses from 0.13mm to 0.58mm. Often used as soft cushioning material or when conformability and impregnability are of importance. Nomex® Adhesive Tape – Nomex® can be supplied with an adhesive backing as sheets, tape or die-cut components. Mylar® and Melinex® polyester films are flexible, exceptionally strong and durable translucent and clear films produced by DuPont Teijin. They have a high tensile, tear and impact strength. They remain tough and flexible at temperatures from -70°C to 150°C. PET films have exceptional electrical resistance properties and yet are very economically priced, not surprisingly they are used extensively as an electrical insulation material in multiple industries. Pronat stocks and converts Mylar® and Melinex® polyester films for a wide range of applications. Pronat will die cut, slit, sheet and laminate Mylar® and Melinex® polyester film to customers specification. Slit reels, die-cut parts. Stock thicknesses range from 23µm up to 500 µm. An electrical barrier in motors, transformers and wire, cables and a host of uses in electronic and aerospace equipment. A thermal and electrical barrier in wire and cables. A mechanical interface in membrane switches. A substrate for coating or laminating of food and medical packaging. 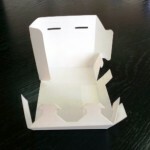 General graphics and packaging applications. Melinex® 339 – opaque white polyester film. Ultem® Polyetherimide (PEI) is an amorphous thermoplastic film that retains its strength and rigidity at high temperatures. Its exceptional electrical properties are maintained throughout temperature and frequency variations. Its chemical resistance and FDA compliance make it a suitable material for numerous applications in the medical and food production industries. Ultem® has excellent flame retardance ideal for aerospace & avionics applications. Ultem® has proven to be ideal for various niche applications including the base material for high temperature bar-code labels, membrane switches and medical device insulators. Pronat stocks and converts Ultem® for a wide range of applications. Pronat will die cut, slit, sheet and laminate Ultem® film to customers specification. PEEK (Polyetherketone) high performance polymer films offer a unique combination of properties including high temperature performance, chemical, hydrolysis and wear resistance, electrical performance, and mechanical properties. The composition and inherent purity of the polymers result in low levels of ionic extractables, low outgassing, and extremely low smoke and toxic gas emissions. They are highly stable and require no flame retardant additives to achieve VO rating. PEEK films are FDA compliant. Pronat stocks and converts PEEK for a wide range of applications. Pronat will die cut, slit, sheet and laminate PEEK film to customers specification. Cirlex® polyimide technology has been developed by DuPont to provide industry with a variety of thick polyimide sheets. Cirlex®, is an all polyimide, adhesive-less laminate. Cirlex® can operate routinely in a temperature range from cryogenic to a maximum of 400°C. It also exhibits excellent physical, dielectric and mechanical properties similar to that of Kapton® film. CIRLEX® is offered in thicknesses from 0.015mm (0.006”) to 4.0mm (0.157”). Thicker constructions are possible. CIRLEX® can be subjected to laser cutting, drilling, machining, stamping, shearing and chemical etching. CIRLEX® is available in standard sheet. Stock sizes are nominal 600mm x 600mm or 300mm x 300mm. * EL – Material exceeds test limit of the test equipment. FORMEX™ GK is a flame retardant grade of polypropylene extruded into sheet and roll form. Formex offers a good low-price alternative for a variety of flame retardant sheet materials including polycarbonate, polyester, PVC and Nomex aramid paper and Nomex Pressboard. Formex can be readily formed into desired shapes. Formex GK grades have UL 94V-0 rating (GK-10 is VTM-0). Availability: Die-cut parts, strip, sheets. LEXAN® polycarbonate films have UL94 V-0 or VTM-O ratings, are chemical resistant, with excellent dielectric strength, low moisture absorption and high dimensional stability. Printable and available in a selection of textures and gauges. Other grades include flame retardent and impact resistant types. Lexan® films are used extensively in the electronics, automotive, avionics and medical device sectors. LEXAN® FR 60- flame-retardant film is a clear, thin-gauge, polycarbonate film with polished surfaces on both sides. With a UL94 V-0 listing, this film meets stringent requirements in a wide range of electrical and electronic, automotive and construction applications. LEXAN® FR65- flame-retardant film is a clear, thin-gauge, polycarbonate film with matte and velvet surfaces. With formability and a UL 94 V-0 listing, this film meets stringent requirements in a wide range of electrical and electronic and transportation applications. LEXAN® FR700- is an opaque black, flame-retardant, polycarbonate film. With a UL 94 V-0 listing in certain thicknesses, this film meets stringent requirements for a wide range of electrical and electronic applications. LEXAN® 8010- film is a polished both sides, transparent film providing clarity and distortion-free optics in all gauges. Typical Applications: Graphic arts Control panel overlays Remote control overlays LED / LCD and backlit windows Labels / nameplates Automotive instrument clusters HV / AC overlays In-mold decorating. Pronat stocks and converts LEXAN® polycarbonate films for a wide range of applications. Pronat will die cut, slit, sheet and laminate LEXAN® polycarbonate films to customers specification. We offer a range of high quality rigid laminates to suit the majority of applications. pressing these treated papers under calculated pressure and controlled temperature. and black coloured laminates are also produced. SRBF sheets are produced by impregnating cotton fabric with phenolic resin and then pressing these prepegs under high pressure and controlled temperature. By choosing different grades (coarse, medium, fine wave) of fabric and modifying phenolic resin, laminates of various grades are produced. resin and then pressing these prepegs under high temperature and pressure. Laminates are produced in grades to work upto 130°C, 155°C and 180°C. Flame retardant grades are produced by modifying the resin system. These products have mechanical strength at elevated temperature, very good stability of electrical properties under high humidity in mechanical, electrical and electronic applications. Heating wire support for industrial and household appliances; heater bands, annular heating elements, toasters, hair dryers, electrical heating systems. Kenpro 369 self-fusing silicone rubber tape, has been produced in order to resolve the need for a waterproof tape that will withstand operating temperature in excess of 200°C and enhances its electrical insulation levels. An added feature of this tape is its ability to self-amalgamate within 24 hours creating a total weatherproofing shield. Kenpro 369 is resistant to ozone and corona. Its high thermal conductivity allows for rapid heat dissipation resulting in lower temperature rise on all types of connections. When properly installed, this tape provides a moisture-free seal around terminations, motor coils and wire harness bundles. Kenpro 369 is uniquely diamond tapered shaped, which allows a uniform insulation thickness to be developed over the total length to be covered. There is no residue when removing the tape. Standard width of tape is 25.4mm or 19mm, Length of roll is 11M. Thickness: Kenpro 369T tapered profile: 0.5mm thick at centre, reducing to edges. Motor slot and phase laminates are used to insulate the copper winding wires from the stator and rotor laminations. Slot insulation requires to be made of a mechanically tough material that is also a good electrical insulator. By laminating materials with complementary attributes an ideal electrical insulation material can be produced at a commercial price. Laminates of Nomex® and polyimide (Kapton®) film are used as slot insulation for class H (180°C+) motors, typically these can be found on board aircraft for the air conditioning system or fuel pump generator sets.